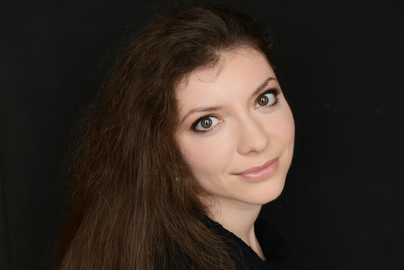 "We should trust music, maybe even more than we trust ourselves.."
Today we have the pleasure and privilege to talk about music with one of the most perspective young artists - pianist Sofja Gulbadamova. Born in 1981 in Moscow, Russia she began her studies at the Gnessin Special Music School working with prof. Mikhail Khokhlov. She continued her academic studies at the Musikhochschule Lubeck in the class of the American pianist James Tocco as well as the Paris Conservatory where she has worked with Jacques Rouvier. She has been performing many solo, chamber and orchestra concerts all around the globe and recent successes include performances at the Great Hall of the St. Petersburg Philharmony, Konzerthaus in Berlin, performances in France, Switzerland, Germany, England, United States of America, Austria, South America, Moldova..
She has won many international prestigious awards among which the Aix-en-Provence Piano Competition, 6th International Poulenc Competition, Grand Prix at the Rosario Marciano International Competition in Vienna, 2nd prize at the "Andre' Dumortier" competition in Belgium. She has recorded several CD's published by "Passavant Music" recording company as well as the Danish label "Danacord" which was reviewed by the international press, among which the BBC Music Magazine, International Piano and was selected as the Editor's Choice of the November 2013 issue of GRAMOPHONE. Dino: Sofja, thank you for your time. We were able to make this interview in a very busy and productive period for you - you've just performed an All-Chopin recital in Germany. Sofja: Thank you for your invitation, Dino. D: An unavoidable question for our guests at Musical Journeys - Sofja, what is Music? S: I would like to start with the legacy of D. Schostakovitch: Wisdom. Love. Creation. Death. Immortality. (For Schostakovitch it was the essence of the Sonnets by Michelangelo which he used for his Suite op.145. According to the composers' friend Isaac Glikman, it represents both his credo and his heritage) For me music is my entire life. Like somebody said, music is not what I do - it's what I am. It is the best friend, best support, best remedy, best help, and the most beautiful world to live in. Yes, that's it - Music is my world. D: Tell us about your beginnings in music, any early influences? S: Of course, I guess nobody escaped early influences and idols! Mine were (and still are!) Sviatoslav Richter and Vladimir Spivakov. When I would hear Richter's recordings on the radio - without knowing who is playing - I was always able to recognize him. Whenever I heard him performing something, it immediately infected me with the desire to learn it myself each and every time. This way, for instance, Schumann Piano Concerto and Symphonic etudes, or Beethoven Sonata op.10 No.3 became part of my repertoire very early. Concerning Vladimir Spivakov, I was listening all my childhood to his recording of Tchaikovsky's violin concerto with Seiji Ozawa, among his other recordings. This performance was the main reason why I was dreaming to become a violinist and got a very special connection to that particular instrument. I still remember all of his concerts that I ever attended as a child for they had an amazing impact on me and stayed truly unforgettable. We actually don't necessarily need to study with someone for being able to regard them as our teachers. Richter and Spivakov certainly were my teachers in this sense. Other important influences were recordings of Emil Gilels, Leonid Kogan, Evgeni Svetlanov as well as incredibly hypnotizing and inspiring concerts by the young pianist Konstantin Lifshitz who only was a few years older than me and became one of the most remarkable artists of our generation. D: How important is a good foundation, learning from a good teacher and living in a culturally stimulating environment? S: In my opinion it is very important indeed. With some very rare exceptions (one of which we could see recently as the phenomenally gifted pianist Lucas Debargue who only plays piano professionally since FOUR years became the sensation of the last Tchaikovsky competition in Moscow) the best results can be obtained by starting very early in a professionally organized system, having a chance to attend good concerts and be in touch with great musical personalities for getting inspiring impulses, in order to understand which way to go. Of course the education should comprise all arts, not music only - great literature, painting, theater, all kinds of important soles that make your heart grow and your soul develop, are essential. Learning from a good teacher is the base for your whole musical life! Both from the technical and musical point of view, a teacher can - and should - give to his pupil / student a kind of a well-equipped instrumental laboratory from which you can always take the tool and wisdom you need. The older we grow, the more it will serve us later on. D: What are the struggles of young artists today? What does it take to become a professional concert pianist? S: I guess we all think that our generation has to cope with more difficulties than the previous ones - we will probably never figure out whether this is true or not but what frightens me is the development that comes from the concert organizers who always want to set on a secure horse - which means, the more popular works are on the program, the better it will be sold. But that is an impasse! How should we be able to build up new public and catch their interest if always the same music is played (and this not always on the highest level)?! Our task is also an educational one and I have seen many times how thankful people are when they get a chance to listen to an unconventional program with works or composers they didn't know! So, in my eyes, that is one of the problems especially young artists have to deal with - being forced by managers or concert organizers to play the same things all the time, without any freedom to develop an own personality also in terms of creating programs. Then, another problem which raises partly from the competitions' business is that more technicians than musicians are "en vogue". And if the broad public gets to listen to a new "star" somewhere in a big concert hall, it makes people automatically believe that this very person is the nonplusultra in music. It's a vicious circle - one might loose the ability to hear the difference between a true musician and an artificially made "star" even though this word in its contemporary, glamour-coloured meaning should be kept away from classical music. That's certainly one of the particular problems nowadays. What it takes to become a professional concert pianist? Oh that's very simple. It takes your whole life. D: What’s your most valuable life lesson learned from music? Can you point to a specific moment in your life connected to music that has a special place in your heart and memories? S: As everything in my life is connected to music it is quite difficult to point out any specific moment, to be honest. What I learned and continue learning, is that whatever your situation is or whatever hell you are going through, music always gives you the saving power and comfort and stimulates to grow over everything. It will never betray you and never turn away when you need it most. It will always bring you back to life, no matter how desperate you might be at a certain point. We should trust music, maybe even more than we trust ourselves. Music has a greater power upon us than any other intellectual impact. D: Why music, Sofja? When and how have you decided to become and professional pianist and a musician? S: There never was a moment of decision. Music has always been a part of my life since earliest childhood, in one way or another, and the Gnessins special music school which I attended since the age of 5, was preparing professionals from the very first step. There was nothing of this "it must be fun" approach that rules in Europe! It starts being fun when one is good enough but in order to become good, one must work hard! So simple is that. So for me the question whether becoming a professional musician or not didn't exist at all. I only realized (after having moved to Germany at age of 15) that music is what I want to be doing all my life and that it is the essence of my being when there was a dilemma how to organize my education. For me it was clear that I want to dedicate myself to piano playing entirely and without any compromise so that's the only turning point that I can recall. Certainly we all doubt from time to time if we are good enough but this is probably very common for artists and naturally belongs to the growing process, if only it doesn't become overdimensional and starts causing psychological problems. D: How dedicated are you, in your profession? Do you have any routine in your practicing? S: I probably belong to those who are very dedicated indeed for I love practicing a lot! Routine? I don't know. As long as we passionately love what we are doing, we enjoy every moment of it even though from outside it might look (or rather sound) like routine. But I usually don't get tired of the working process and even when I am physically not touching the piano keyboard, it continues working on its own in my head. So actually this process never stops. D: What about stage fright? Being a professional pianist means performing live concerts. How do you deal with nervousness and adrenaline? S: That's a difficult question. Stage fright is something that may accompany you all your life long unless you have iron nerves or possess a yogi secret how to keep calm in every possible situation. What helps a lot is being well prepared. :) But seriously, it's different every single time. Some yoga exercises might bring a little easing. But I also think that one needs this excitement - if one manages to use it positively. Mental training is certainly a great help. D: How important are recordings? Is it a substitute for a live performance, is it a valid window in time? S: In my opinion, the most important part of a recording is the fact that one is learning from it, what to do better and how to improve. Besides the fact that for many musicians it is extremely difficult to listen to own recordings, it gives you a unique opportunity to capture the way you feel and approach a work or style, at least at this very moment. Recording is always the best witness of your stand as a musician at a certain instant of your life and is mostly useful from this point of view. As we all develop (at least we should...), it can become annoying, sad, disappointing for the artist himself after a while but it is always a very critical and not always objective feeling. However, imagine how poor our world would be if we hadn't the most stunning recordings by Rachmaninov, Josef Hoffman, Ernst von Dohnányi, Richter, Gilels, Arrau, Kempf, Backhaus, Gieseking, Annie Fischer, Geza Anda, Clara Haskil, Dinu Lipatti and so many others who continue to inspire, astonish and lead us!! So it definitely is a window in time - that is how a CD series with restored piano rolls played by Rachmaninov was called, and it belongs to my absolute favorites ever!It is a very personal question whether a recording can become a substitute to a concert. I think this is not possible. Plus there are not many musicians who would be able to reproduce in a studio atmosphere the same excitement, the spontaneity, the passion and the adrenaline that comes with a live performance. What for me personally can only happen in a concert situation is a piece being created anew at this very moment - only once this way, it is genuine and exceptional and cannot be reproduced... I always miss this special kind of inspiration while studio recordings. D: What about music competitions? Many pianists seem to take part in these competitions but not many succeed. Do you think they are a valid way to discover new and extraordinary talents? S: Well, competitions were and are a very debatable subject. Bartók said, "Competitions are for horses, not artists". What is true is that most competitions are being won by those who have the most stable nerves but not necessarily the most interesting artistic personalities. I don't want to offend anyone of course and everybody who takes part and wins should be respected. Just sometimes it becomes so obvious that prizewinning has nothing to do with music and art that one feels really disgusted and asks himself how far this could possibly go..
What is mostly questionable for me is the following point: winning first prizes in competitions (at least at good ones) means a great opportunity for concert performances. So theoretically what the jury should be looking for is an accomplished artist whom it would be interesting to listen to. But the sad reality is that a great deal of the top prizewinners are not that captivating (for me personally) so that I should run to their concerts. That's the big discrepancy for me and I hope that something will change in this point because the way it looks now those who should be heard in concerts don't even get a chance for they are not being awarded top prizes. D: Sofja, thank you very much for your support, time and interesting answers. I hope our readers will enjoy the conversation as much as I did. S: Thank you very much, Dino. It was a pleasure to answer your questions. All the best to you!